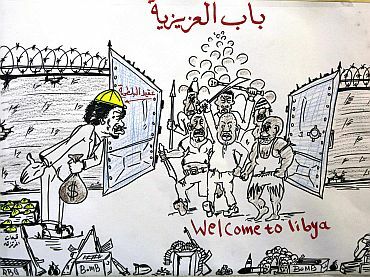 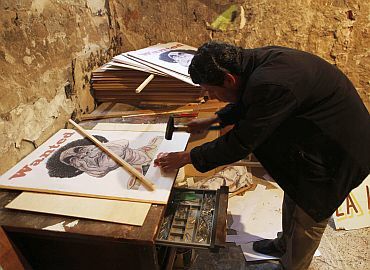 Libyan leader Muammar Gaddafi may have pounded, shot and arrested many in the battle to save his skin and regime, but it has not deterred the creative flow of his countrymen. 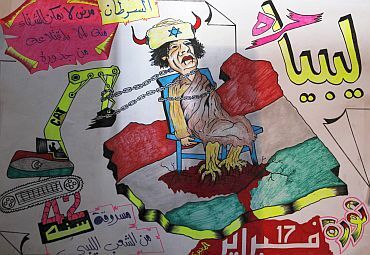 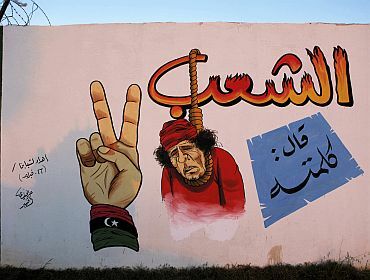 Gaddafi carefully controlled how his image was used, often portraying himself as a deity or beloved leader. 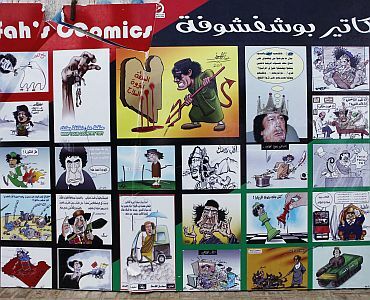 With the rebellion, however, freedom of expression in rebel-controlled areas means that ridicule has become a key weapon in the fight against the climate of fear that has long gripped the country. 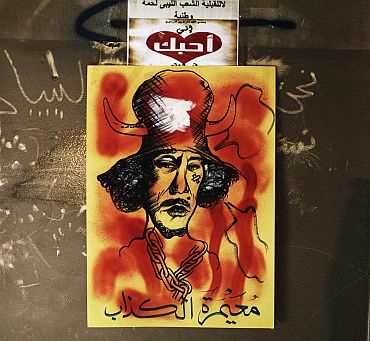 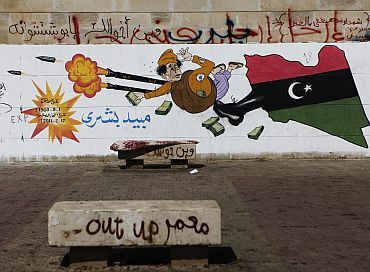 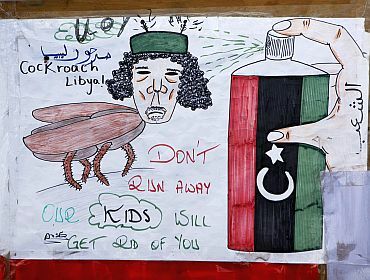 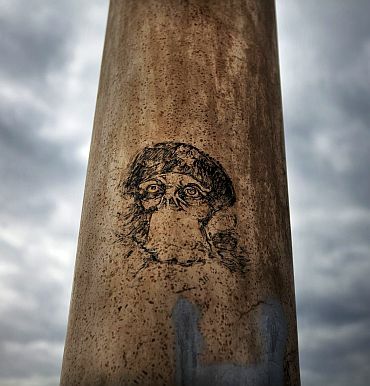 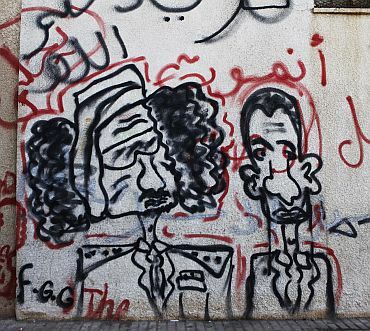 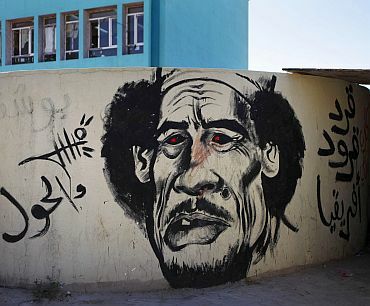 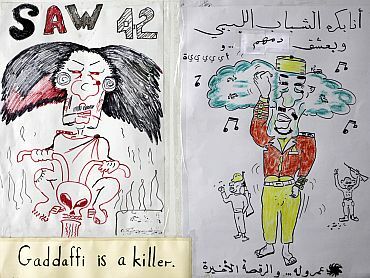 Anti-Gaddafi caricatures and graffiti have sprung up across cities such as Benghazi, most of them portraying him in an unflattering light. 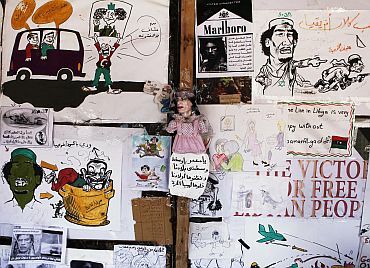 Let's take a look at some of them.